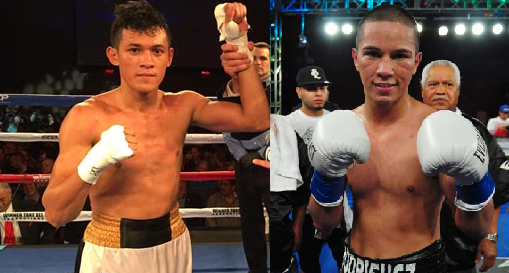 Filipino undefeated boxer Harmonito Dela Torre will face the also undefeated top prospect of USA Saul Rodriguez on August 22, 2017. Harmonito Dela Torre is a 22 years old boxer from Cagayan de Oro City, Misamis Oriental, Philippines. He has a record consisting of 19W(12KO)-0L. Dela Torre is currently ranked 99th in the super featherweight division and he won his last 2 USA fights via decision. The Filipino is a former WBF world super featherweight champion. On the other hand, Saul Rodriguez is a hard-hitting undefeated boxer from Riverside, California, USA. He is only 24 years old and has a record of 21W(15KO)-0L-1D. Rodriguez fought some of the tough in the division including Ivan Najera, Daulis Prescott, Miguel Zamudio and Oscar Bravo in his last fight. Dela Torre vs Rodriguez was added to the undercard of Juan Carlos Payano vs Alexis Santiago. The fight will be held at Sam's Town Hotel, Las Vegas, Nevada, USA.